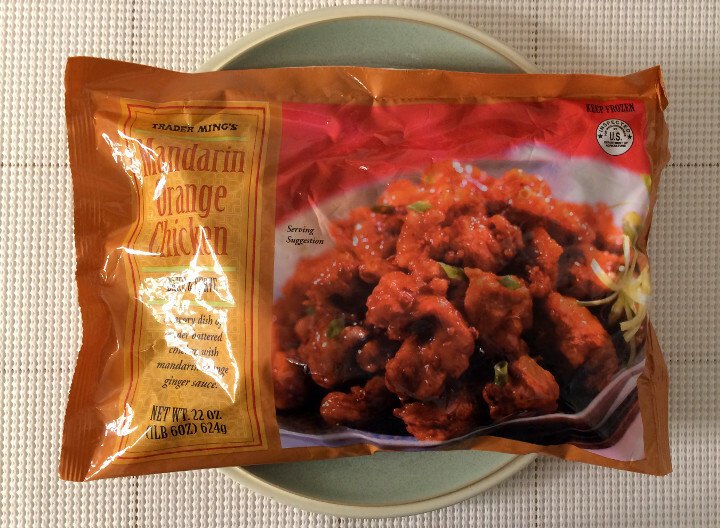 We tried Trader Joe’s Chicken-Less Mandarin Orange Morsels not too long ago, and we quite enjoyed them. 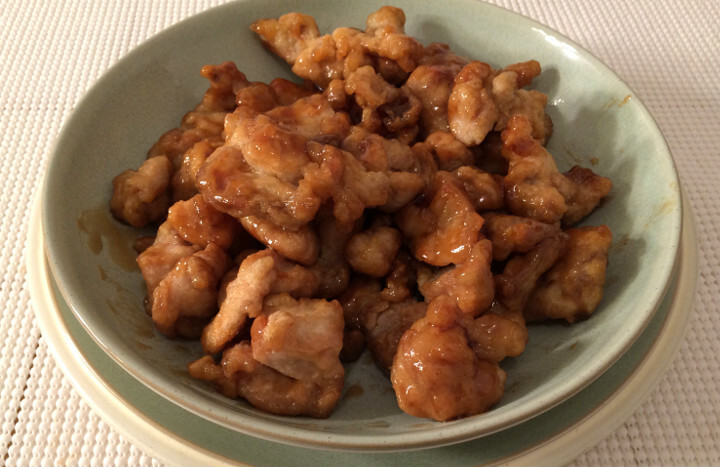 Of course, that was simply the vegetarian version of a much more popular dish, the Mandarin Orange Chicken. 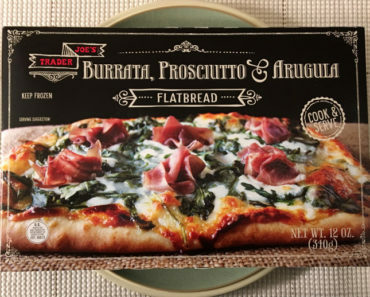 We’ve heard tell that this is among the best frozen foods at Trader Joe’s — In fact, the last time we were at Trader Joe’s, we saw one of the employees restocking the previously empty Mandarin Orange Chicken section with a whole giant box of the stuff. It looks like it’s as popular as they say it is! So of course we had to try the Trader Ming’s Mandarin Orange Chicken (yes, this is part of the Trader Ming’s sub-brand of Trader Joe’s). Today is the day that it happens. 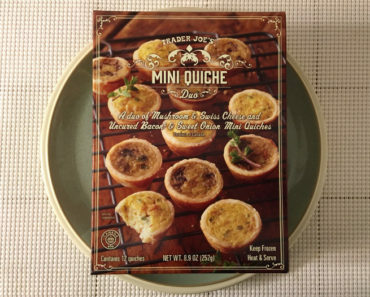 There are two different cooking methods listed on the packaging: conventional oven or stovetop. We decided to opt for the stovetop version. We simply heated up a pan with a little oil, then fried up the chicken. The sauce was a little bit of effort, since it required us to heat it separately in a saucepan. Not only did add an extra step to the process — why can’t everything be simple? — it also dirtied an extra dish. Now, we acknowledge that this isn’t the worst thing in the world, and a little extra work is sometimes worth it to make a perfect batch of food. Oh, and we do appreciate that Trader Joe’s provides two packets of sauce in this in case you want to make separate batches. Eventually, we finished up all that work and had a lovely serving of Mandarin Orange Chicken in front of us. Finally, it was time to feast! The sauce is incredibly strong — if you taste a spoonful while the sauce is heating, you’d almost swear this was a concentrate. It also has a vinegar scent to it. But it’s also a great-tasting sauce. It’s very, very sweet — this is truly a meal for those with a serious sweet tooth. Of course, this sauce isn’t designed to be eaten alone, and it’s not nearly as extreme once it’s covering the chicken. Also, that vinegar smell we mentioned doesn’t translate into a vinegar-y flavor at all. The chicken is phenomenal. Because of the pan-cooked method, it ends up just a little bit crispy on the outside, which is absolutely perfect for an Asian chicken dish. And the sauce complements the chicken very well. 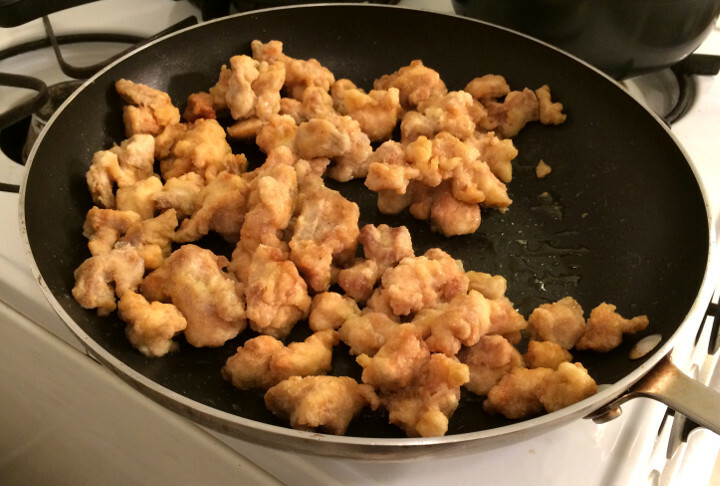 We can see why people say such good things about the Trader Joe’s Mandarin Orange Chicken — this is really close to a restaurant-quality food. This meal pairs really well with fried rice. 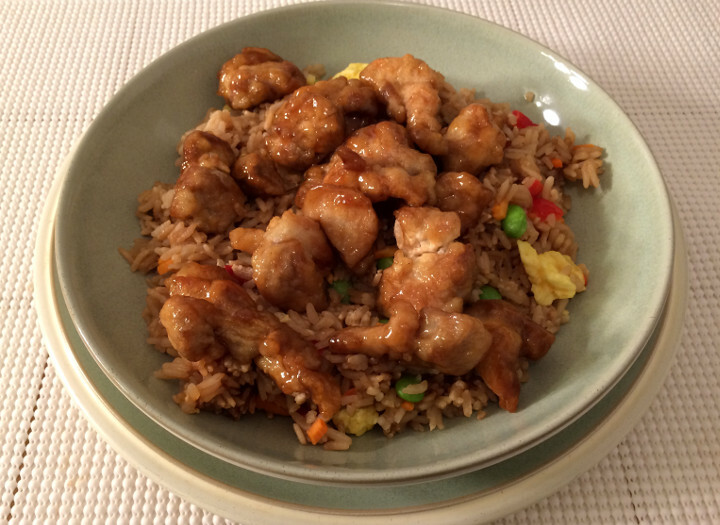 We used the InnovAsian Vegetable Fried Rice, which works wondrously as a bedding for the Trader Joe’s Mandarin Orange Chicken. Of course, you don’t need to use this specific brand of rice — any fried rice will do, really — but InnovAsian really puts out a quality product. We have a lot of good things to say about this rice, but this isn’t the place for that — check out our full review if you’re interested in learning more about the rice we used. But we’re here today to talk about the Mandarin Orange Chicken, so let’s continue. According to the package, there are five servings in a bag, making a single serving 1/5 of a bag. We’re not sure how the math works out with the two sauce packets, so we’re not going to try to figure that out (we just heated the whole thing at once and had plenty left over for the following day). 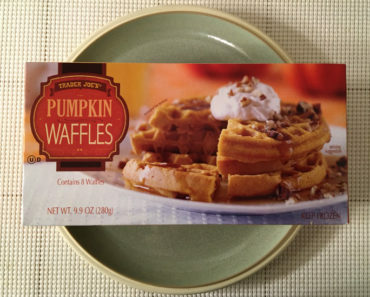 We do think the recommended serving size is apt if you’re pairing this with rice. If you’re just eating the chicken and sauce, the serving size is a little small. 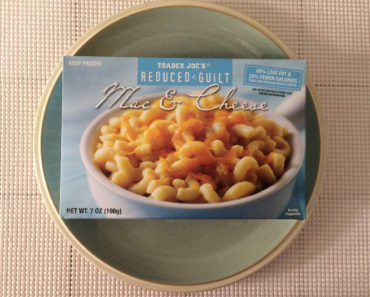 The recommended serving size contains about 320 calories (140 from fat) and 330 mg of sodium. 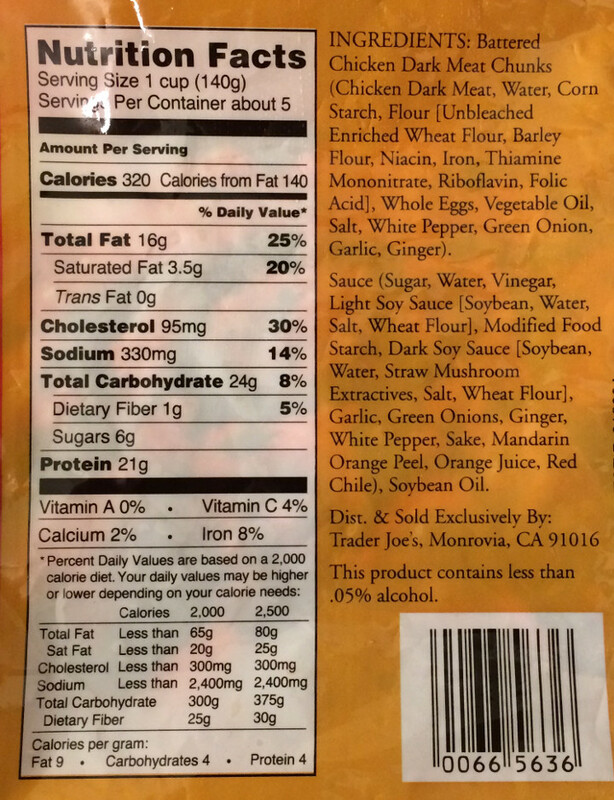 That means a full bag of this stuff contains 1,600 calories and 1,650 mg of sodium. While that’s quite a lot, we doubt many people are going to eat a full bag in one sitting. That doesn’t mean we didn’t want to, of course. It’s very hard to stop eating this stuff because it tastes so great! 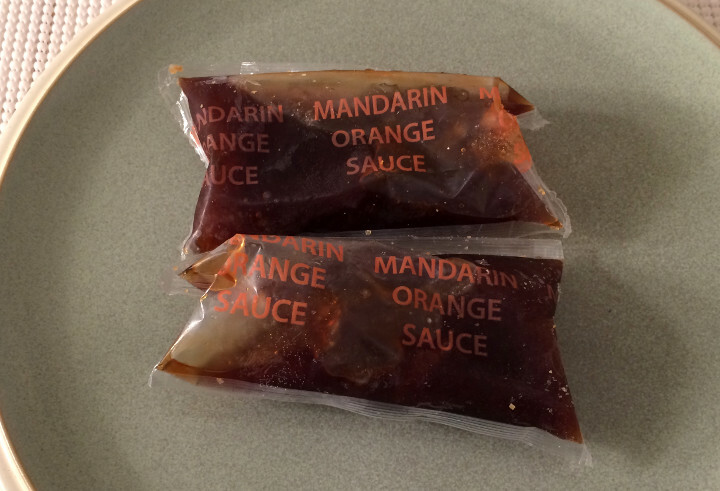 Trader Joe’s really knocks it out of the park with their Mandarin Orange Chicken. 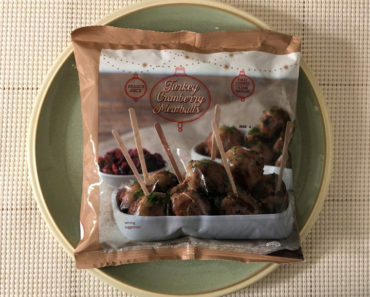 We’ve heard a lot of good things about this frozen food, and we can now say with certainty that those things are true. 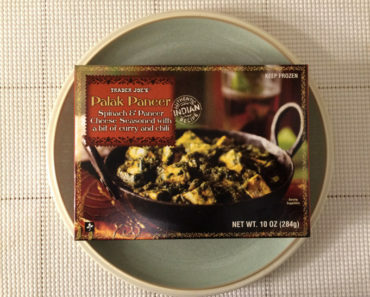 This is a really great dish, and we’re pretty sure you’re going to love it! To learn more about the nutrition info or ingredients in this frozen food, check out our package scan below.